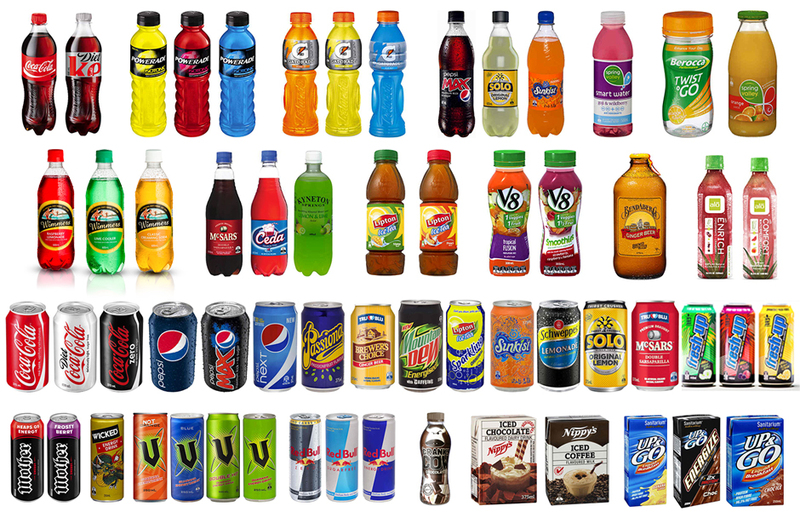 Research shows that sugary drinks are one of the major determinants of obesity and diabetes, and emerging evidence indicates that high consumption of sugary drinks increases the risk for heart disease, the number one killer of men and women around the world..
Each additional serving per day of SSBs was linked with a 10 per cent increased higher risk of cardiovascular disease-related death. Individuals: Make healthy drinking your personal priority. Start by choosing beverages with few or no calories. Water is the best. Ask food companies to make sugar-reduced beverages, by calling their customer service numbers, or sending them a message on their Web site comment forms. Ask schools and workplaces to offer filtered water or functioning water fountains. Ask your individual: Make healthy drinking your personal priority. local stores, schools, and workplaces to carry 8-ounce or 12-ounce containers of sugary drinks, to make it easier for you to choose a smaller serving. It is also wise to wean yourself off of artificial sweeteners because of the unanswered questions about the relationship between diet drinks and obesity. Food shoppers for the family: Don’t stock sugary drinks at home. Nationwide data show that children and teens drink most of their sugary calories at home, so parents can help kids cut back by not stocking soda, fruit punch, or other sugary drinks in the house, and making them an occasional treat rather than a daily beverage. 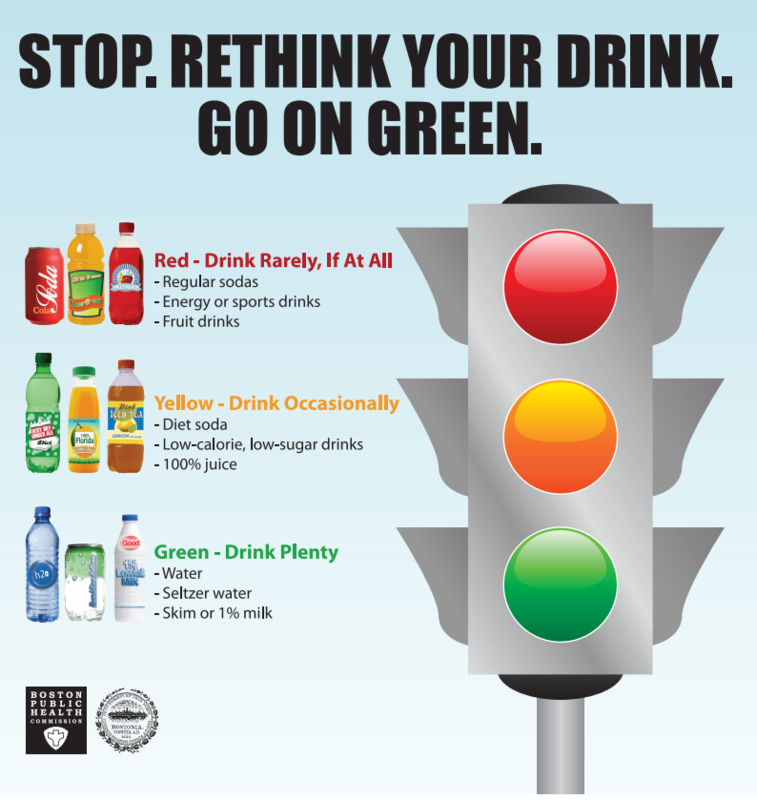 Schools and workplaces: Offer students and workers several healthy beverage choices. Healthy choices for school and workplaces include water and reduced-sugar beverages, as well as single-serving or 12-ounce containers. Schools and workplaces should also make sure that they have functioning water fountains or filtered water available. Government: Require better labelling on sugary drinks, and scrap sugar subsidies. The FDA should consider requiring companies to list the number of calories per bottle or can—not per serving—on the front of beverage containers. It should also consider creating a new labelling category for low-sugar beverages. A better threshold for low sugar beverages would be 1 gram of sugar per ounce, which is about 70 per cent less sugar than a typical soft drink. Sugar-added beverages with more than 50 calories in an 8-ounce serving should carry a warning label about obesity and diabetes.